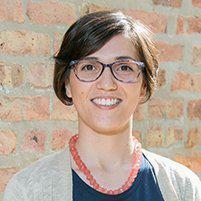 Testimonials & Reviews - Wicker Park Chicago , IL: Kat Aleman, D.C.
Dr. Kat Aleman always appreciates feedback from her valued patients. To date, we’re thrilled to have collected 9 reviews with an average rating of 5 out of 5 stars. Please read what others are saying about Dr. Kat Aleman below, and as always, we would love to collect your feedback. Had a great visit with Dr.Kat. She is warm and knowledgeable. Will definitely be seeing her again. When i suddenly experienced sciatic pains, Dr Kat was able to see me on short notice. Her treatment and advice was a great relief and I highly recommend seeing her. If you have any back issues, make an appointment before it gets worse. For a first timer at the chiropractor, she made me feel very comfortable and thoroughly explained the process as well as walked me through her findings. I will be back. My doula referred me to Dr. Kat on the 12th day past my due date. I was trying all the "midwives' tricks" to avoid a medical induction on day 14. I visited Dr. Kat around noon and she made several adjustments to my pelvis. When I left her office I felt so much more mobility in my legs and hips and went for a long walk in the nearby 606 park. I went into active labor at 10 p.m. and our baby girl was born at 4:05 the following morning. I tried many things in my final days of pregnancy to bring on labor, and I definitely feel that my appointment with Dr. Kat helped "activate" my labor. If I'm ever pregnant again I will definitely include chiropractic treatments as part of staying healthy and mobile during pregnancy. Many thanks for helping me have the natural labor I desired! I would highly recommend Dr. Kat. She listens well to whats ailing you & makes you feel very comfortable. I am currently pregnant with back pain & after a few sessions I have already noticed huge improvements. Dr. Kat is very knowledgable & is happy to answer any questioms you have. Her office is very calming too & super convenient. I look forward to my appointments (as I always feel better afterwards) & have already recommened her to friends looking for a chiropractor. So glad to be have found such a good chiropractor! After only a few weeks I am noticing great improvements in comfort ,posture, and mobility. As a carpenter who regularly puts in plenty of overtime (or double time), the difference is truly notable. I initially went in seeking relief from chronic neck pain but the improvements have been much greater and addressing areas I had completely tuned out of my awareness. I look forward to seeing even greater gains in the coming weeks. Dr. Kat has helped keep me happy and comfortable through my second pregnancy. I originally started seeing her due to severe neck pain in my second trimester. The pain was significantly improved after our first visit, and I felt completely back to normal after our second session. Since then, I've continued to see Dr. Kat regularly. Now in my final weeks of pregnancy, I credit her with helping me to stay active and able to run around after my 2.5 year old by minimizing the hip and back pain and overall discomfort that is typical (or I thought it was) lat win pregnancy. As someone who has experienced a lot of bodywork, I can be a little picky. With Dr. Kat I felt in great hands. I felt "seen". And it was comfortable, simple and peaceful. Thank you! Dr Aleman is very knowledgeable and friendly. For my first experience being examined by a Chiropractor I felt comfortable bc she explained what she was checking and was very thorough. I am thankful she caught a potential issue with my hips that could effect the birth of my daughter. We have 3.5 weeks to work on it and she is confident that we can correct the problem, so I can have a sucessful birth. I highly recommend her! View our list of accepted insurances: We also accept HSA! Please call if you have any questions.